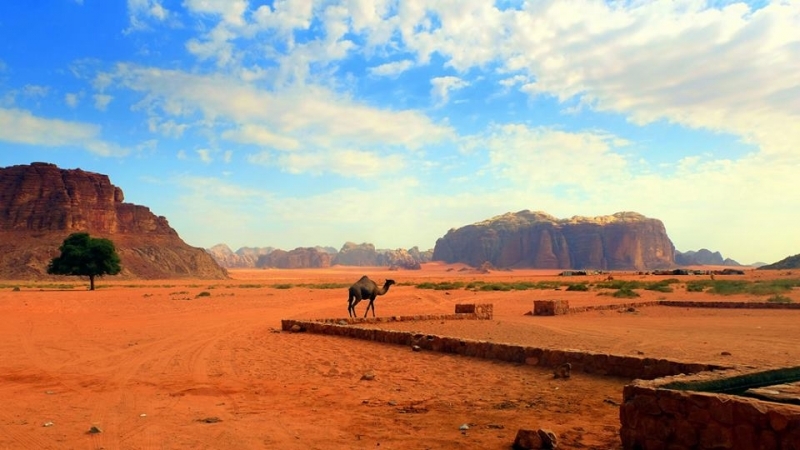 Wadi Rum is also know as valley of the moon, it's a wide magical desert and protected area in the south of Jordan near the border with Saudi Arabia. 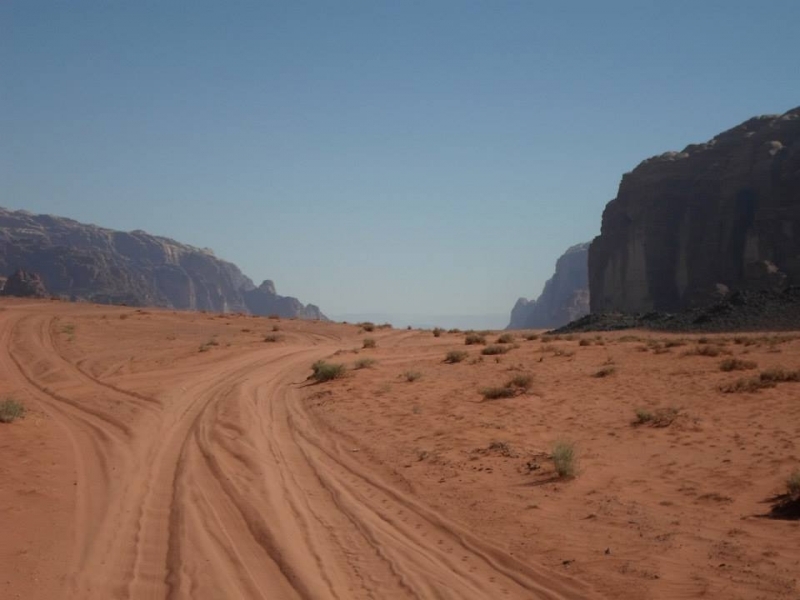 It's full of Huge mountains of sandstone and granite, narrow gorges, natural arches, towering cliffs, ramps, massive landslides and caverns, wide sandy valleys, Narrow canyons and fissures cut deep into the mountains. 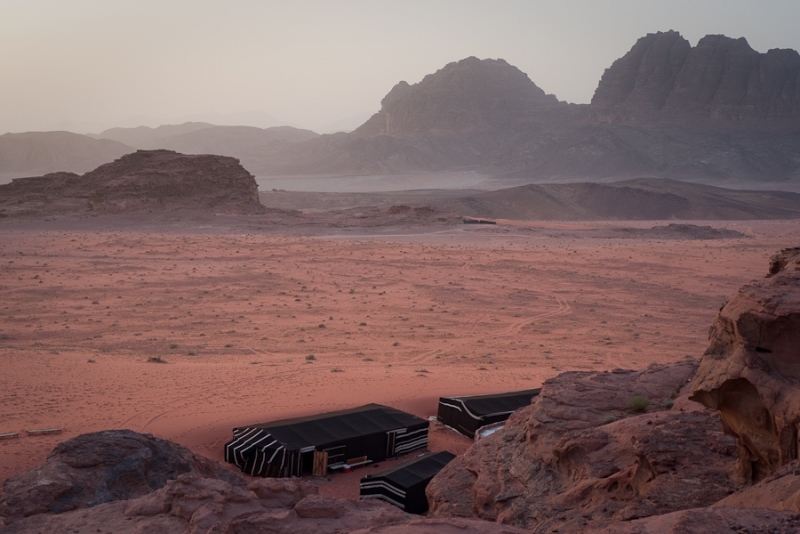 Bedouin are living among the mountains of Rum and their large goat-hair tents are a special feature of the landscape. 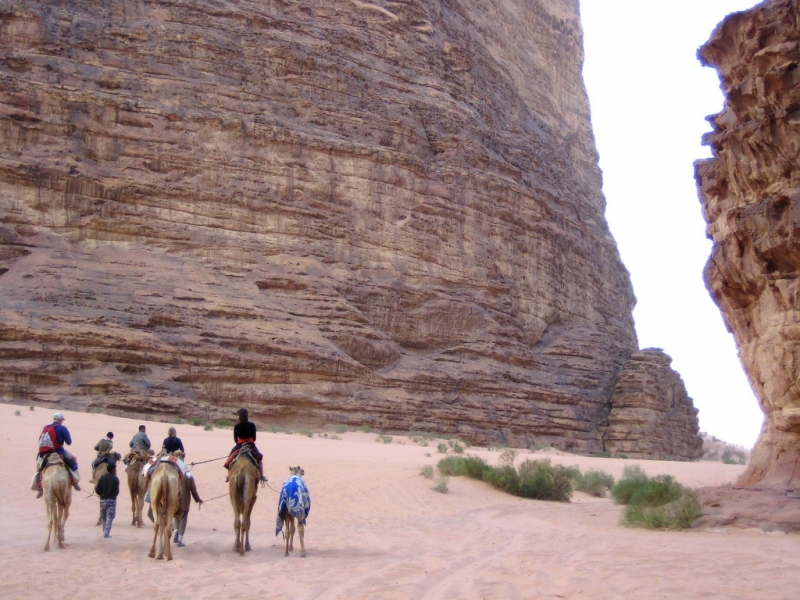 There are many ways to enjoy the attractions of Rum, including trekking, hiking and climbing the mountains and rocks, camel and horse Riding, camping under the stars and the Jeep Safari are also available. 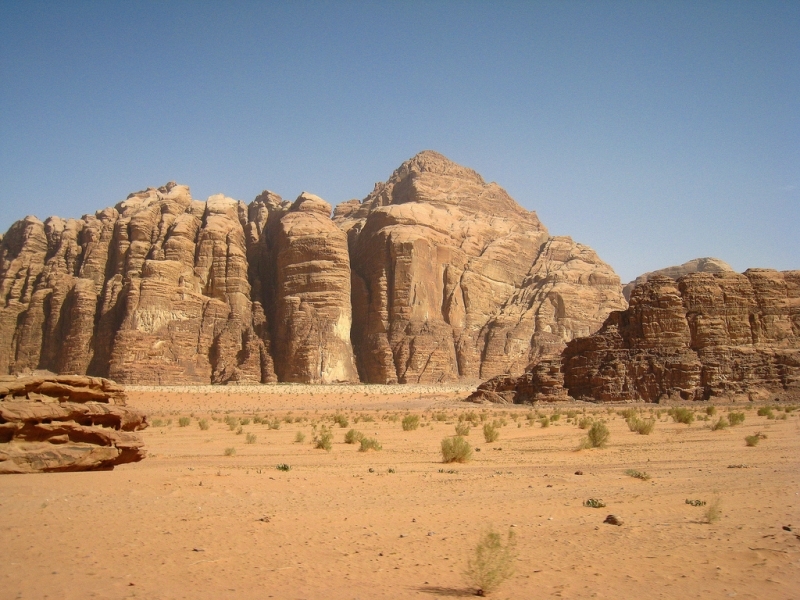 Lawrence mention Wadi Rum in his book ‘The Seven Pillars of Wisdom’, a title apparently inspired by one of Rum’s imposing mountains. The exploits of Lawrence have become part of local folklore, and some popular tourist sites are named after him. 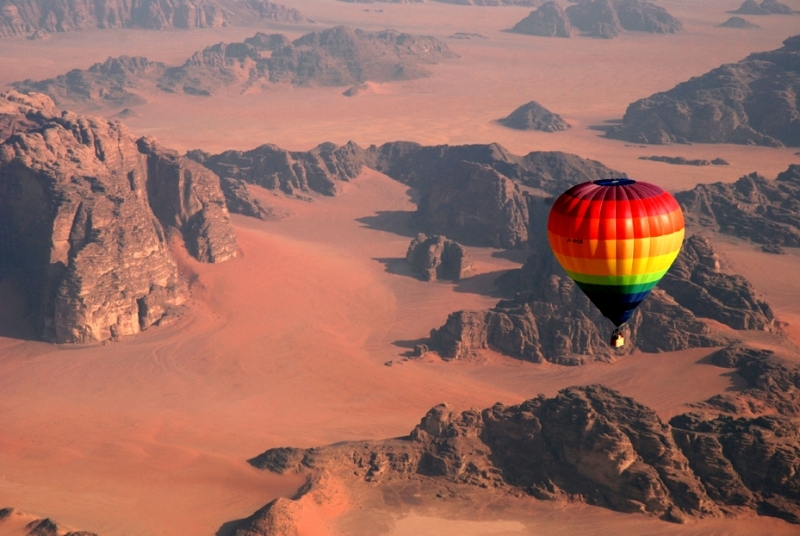 the government of Jordan declared Wadi Rum a protected area in 1998. 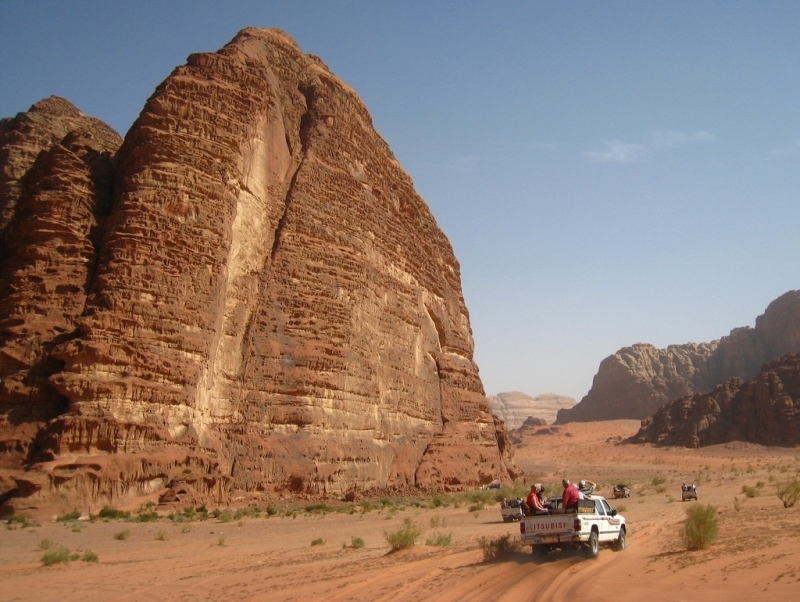 Wadi Rum have made a success of developing eco-adventure tourism, now their main source of income. 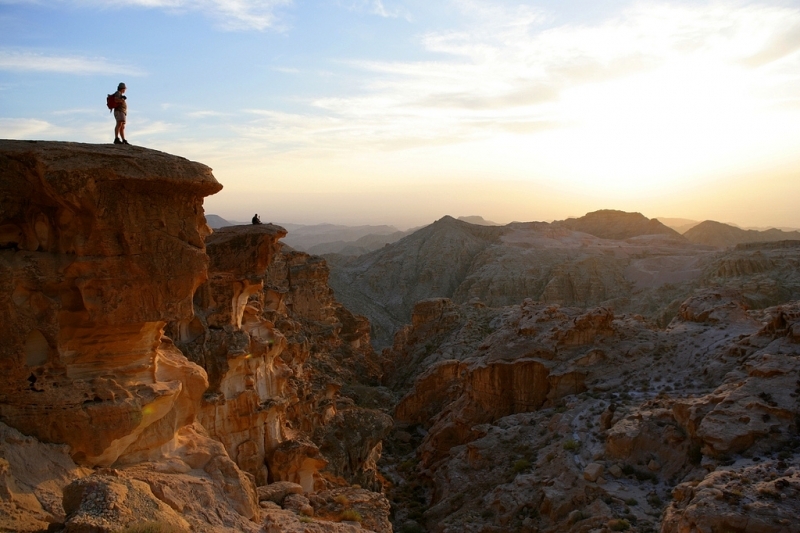 The area is now one of Jordan's important tourist destinations, and attracts an increasing number of foreign tourists.